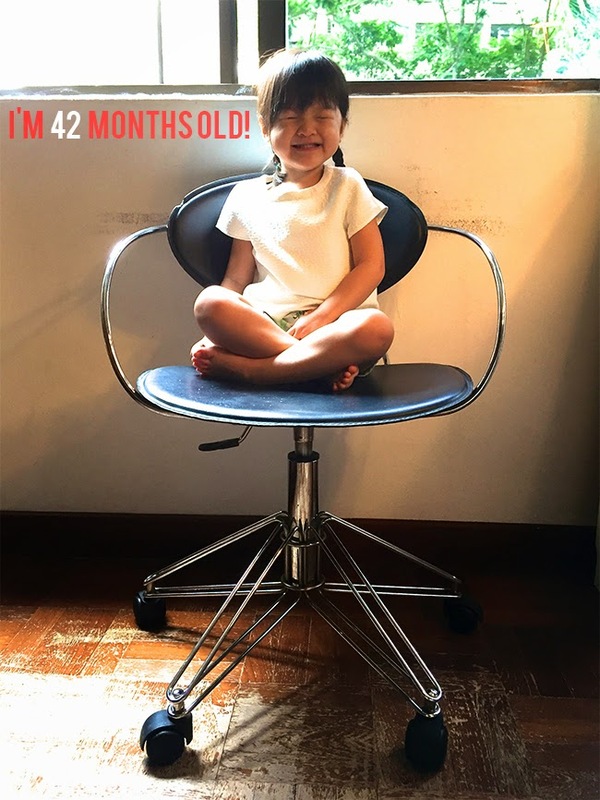 Hello Little Sunshine - Singapore Parenting and Lifestyle Blog: Kaitlin is 42 months old! Kaitlin is 42 months old! The bub has turned three and a half years old! This post is coming in so late as I could only take pictures of her over the weekend. Our weekdays are usually pretty busy and rushed from the time that I picked Kaitlin up from school so that had to wait. I know for sure that the next six months will pass by in a flash and we would be celebrating her fourth birthday! I'm feeling a mix of emotions about that. I'm excited, but I'm also a little afraid of what her turning four is going to be like. 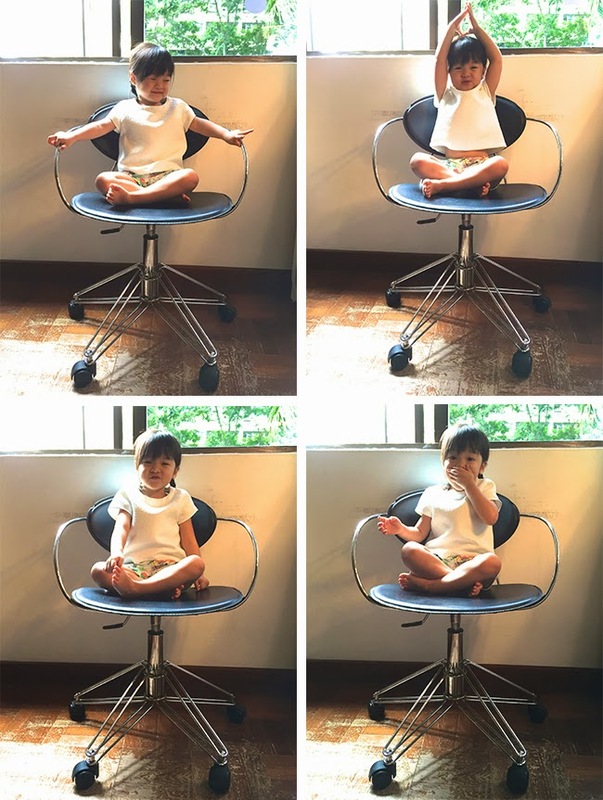 Will there be more tantrums? Or is she going to not listen to me anymore etc. The list can go on. Not forgetting, of course I'm also feeling a little sad that she's growing up so fast. When I mean grow fast, I don't just mean physically but also mentally, for example, like the things she says. Knows the order of the days of the week and can tell what day it is. She knows how to spell 'day'. Enjoys eating nuts - this one started slightly before CNY, and Kaitlin still enjoys them. On that note, she isn't afraid of the bubbles in the bathtub anymore! As you can see the photos of Kaitlin aren't exactly straight and all as they used to be. 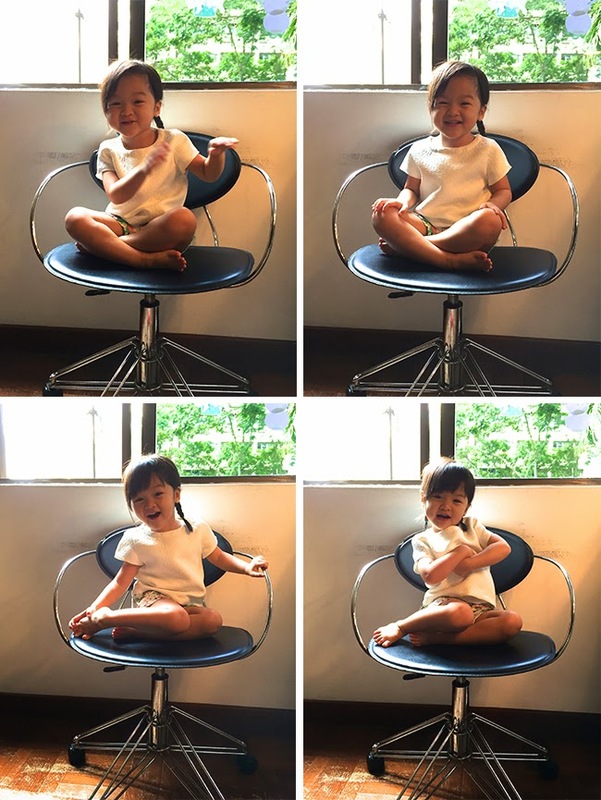 This girl moves so fast and moves everywhere that it's so hard to get a shot of her sitting on the chair + right lighting + straight photos. Okay, that and because I do not have superb photography skills hence the not so pretty pictures. Yeah, well my point is that Kaitlin has become such an active bunny, and has got such an attitude that it's been a little harder to keep up with her and also is hasn't being very easy dealing with her bad behaviour. Well, work in progress..hopefully it's a phase of her throwing tantrums and refusing to listen and that it will pass whilst I try to find different ways to communicate with her and deal with the situations.